DeRay Mckesson and Johnetta Elzie teamed up with activist/Ferguson Commission appointee Brittany Packnett and data scientist Samuel Sinyangwe to launch Campaign Zero at the end of last week, offering a formalized and accessible new tool in the fight against police brutality. 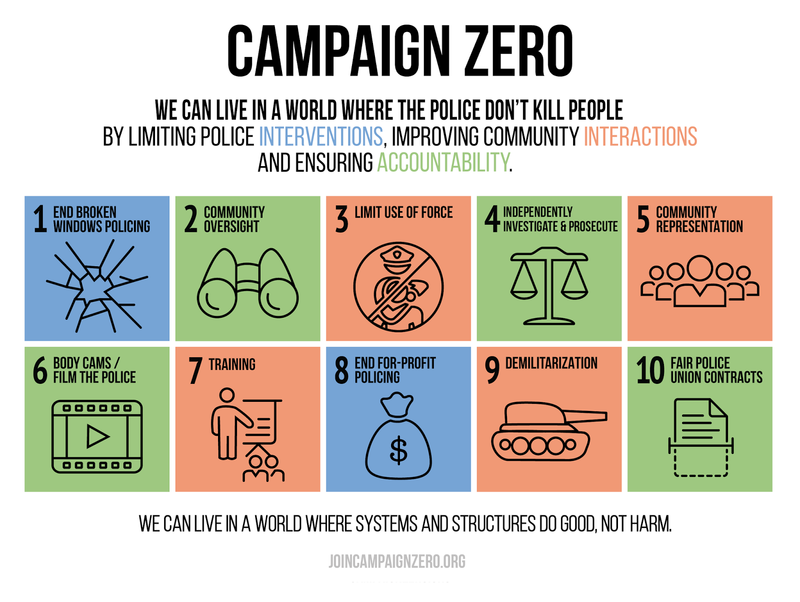 Campaign Zero also offers a tracking tool for the 2016 presidential election, outlining where various candidates from both parties stand on the ten policy points, among other graphic tools outlining the statistical impact and story of contemporary police violence. Visit Campaign Zero's website to see more.